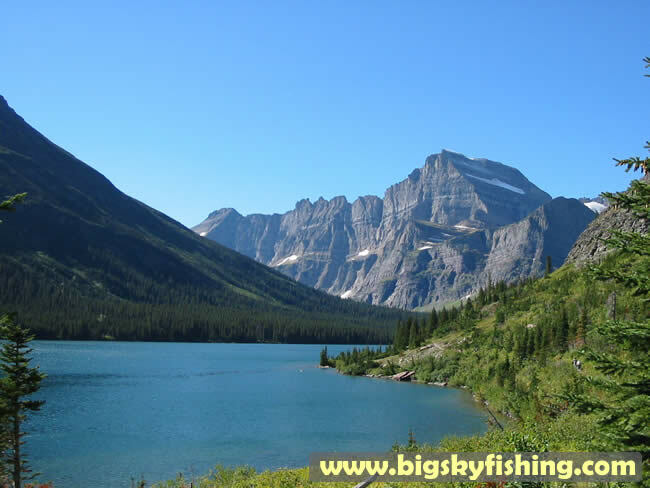 This photographs shows Lake Josephine and Mt. Gould, as seen from the Grinnell Glacier Trail as the trail winds its way along the north shoreline of the lake. Have I mentioned yet that you get great views from the Grinnell Glacier Trail?